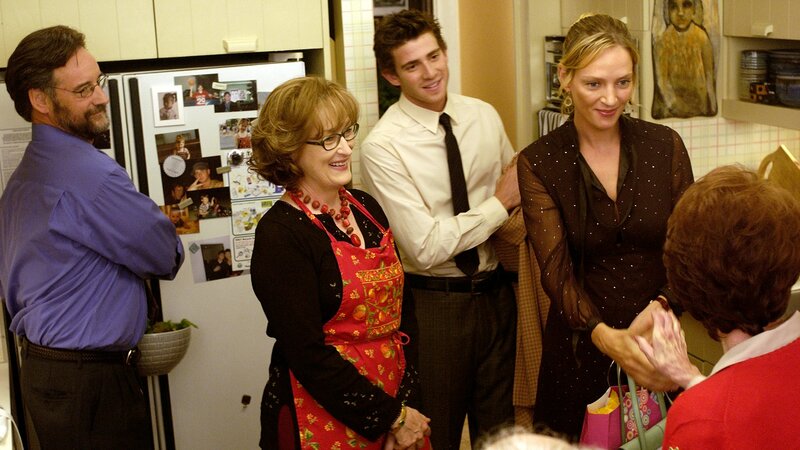 Rafi Gardet (Uma Thurman) is a 37-year-old divorced Catholic businesswoman falling for David (Bryan Greenberg), a 23-year-old Jewish artist. With the help of her therapist, Dr. Lisa Metzger (Meryl Streep), Rafi tries to overcome her insecurities and accept the age difference between her and David. But when Lisa learns more about her client's new love, she realizes that David is her son. As Lisa tries to separate the couple, Rafi and David fear that they may not be right for each other after all.